Mikey Wright at 20 is the youngest of the legendary surfing Family. He doesn’t do a ton of interviews. Here’s 20 minutes of insight, courtesy Occy, into the mind of one of the world’s best freesurfers. 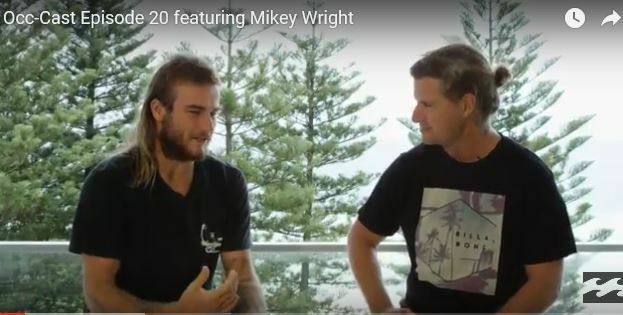 In the 20th episode of Occ-Cast, Occy sits down with fellow Australian Mikey Wright to talk his heat against World Champ John John Florence during the Snapper event this year, growing up as the sibling of two fellow pro’s (Owen and Tyler) and the origins of his style as a surfer.